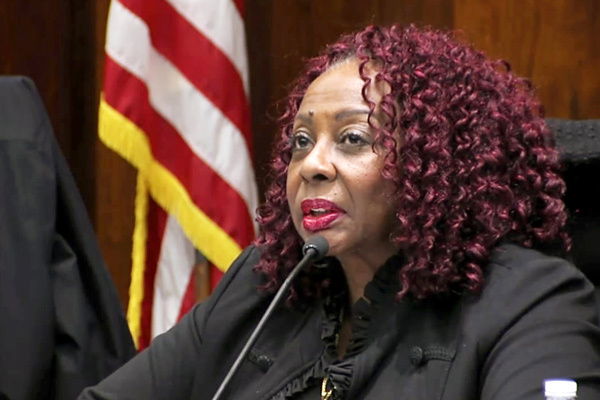 SPRINGFIELD – In response to the alarming report released by WBEZ, in 2017, which uncovered that Chicago Public Schools had been intentionally scaling back their special education funding and services, State Senator Mattie Hunter (D- Chicago) sponsored legislation to reexamine the school systems approach. Senate Bill 3514 will require CPS principals and school personnel who are regular members of an individualized education program (IEP) team to determine special education staffing needs. The legislation aims to close disparities in education spending based on race and income. WBEZ found that schools with wealthier student populations spent the most per student while schools with mostly low-income students spent the least. Following the report, the State Board of Education appointed members to a Public Inquiry Team to examine CPS’s special education policy. Yesterday, the Public Inquiry Team released a second report which contained 43 findings of systemic problems that ultimately delay and deny special services to these students. One of the problems outlined in the report addresses CPS’s need to authorize individualized personnel teams. Senate Bill 3514 passed the Senate 51-0 and now moves to the House for consideration. 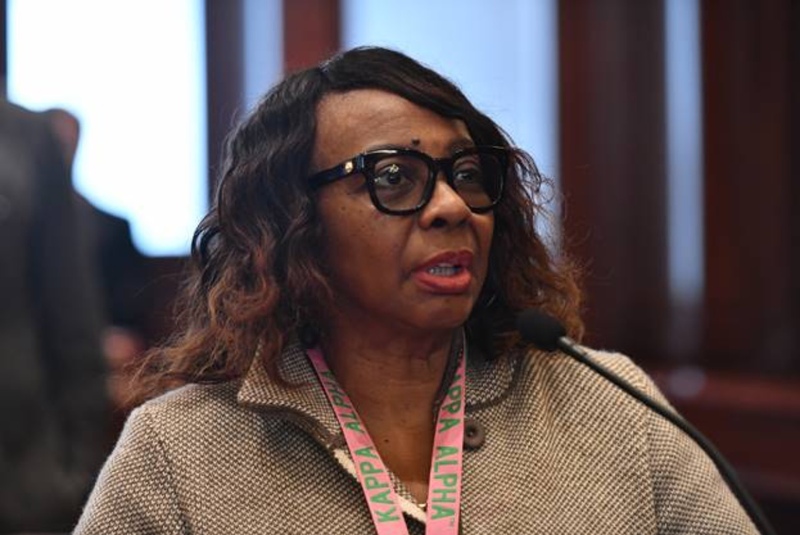 In an effort to increase wages for home care aides who provide in-home services for nearly 100,000 seniors, State Senator Mattie Hunter (D- Chicago) backed legislation to improve the quality of health care in the state of Illinois. Currently, the average wage for home care aides through the Illinois Department on Aging’s (IDOA) Community Care Program is only $10.98 per hour. Senate Bill 3511 aims to increase that wage to $19.89 on July 1, 2018 and by $1 each year after that. For seven years, the program rates have gone unchanged. As for the Workers that have chosen to stay in the field, many struggle with low wages falling further behind as cost-of-living continues to increase. The legislation passed out of the Human Services Committee and will be called in the Illinois Senate for further consideration. SPRINGFIELD – April is National Donate Life Month. All around the nation, advocates and organizers are encouraging individuals to register as organ, eye and tissue donors. This 100th General Assembly, State Senator Mattie Hunter (D-Chicago) and Secretary of State Jesse White introduced new legislation that would allow 16- and 17-year-olds to register for the state’s First Person Consent Organ/Tissue Donor Registry when they receive their driver’s license or identification card. Since the law went into effect, so far nearly 12,000 teens have registered to be donors in the state of Illinois. By joining the First Person Consent Organ/Tissue Donor Registry, 16- and 17-year-olds can give consent to donate their organs and tissue at the time of their death. However, the procurement organizations, Gift of Hope Organ and Tissue Network and Mid-America Transplant, are required to contact a parent or guardian to ensure approval of the donation. Ultimately, the parent or guardian will have the opportunity to overturn the child’s decision. As for donors, their decision to register can turn a troubling time into a source of comfort for families as a result of renewed life for others. Please visit here for more information on how to become an organ donor in Illinois. “Gun violence continues to plague many communities across our state. Gun violence is what took my two nephews away from me and my family during the summer of 2015. Gun violence is what left 17 families hopeless after their loved ones were murdered ruthlessly in the Florida mass shooting. Gun violence is what threatens the streets of Chicago day in and day out. How many more people have to die before we enact critical gun reform legislation? We have a public safety issue and this is a common sense solution. It is highly irresponsible of this administration to ignore the realities that plague our communities.